Our confluence is going to celebrate its eighth anniversary on January 2018. As a part of it, the timing and schedule of our Weekly meets are fixed freshly. By learning from the past experience, decided to conduct more discussions on creativity than reviews. It is the need of the time and required in the industry. 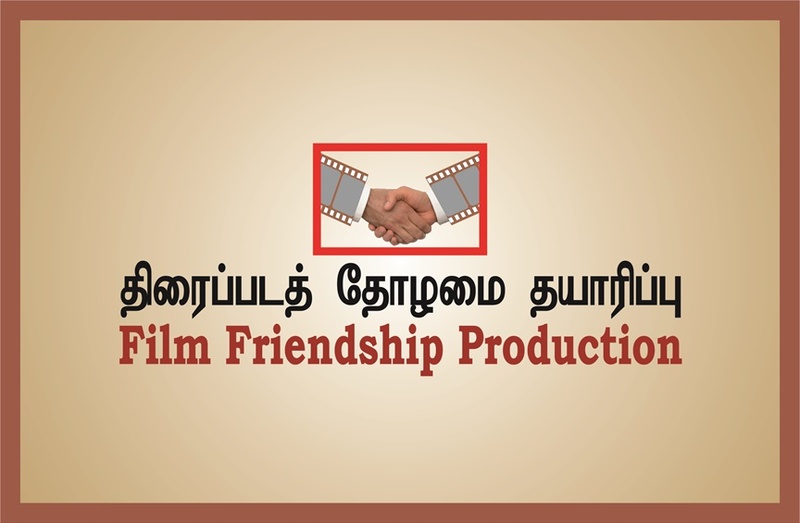 There are many platforms for reviewing films, especially good hit films. 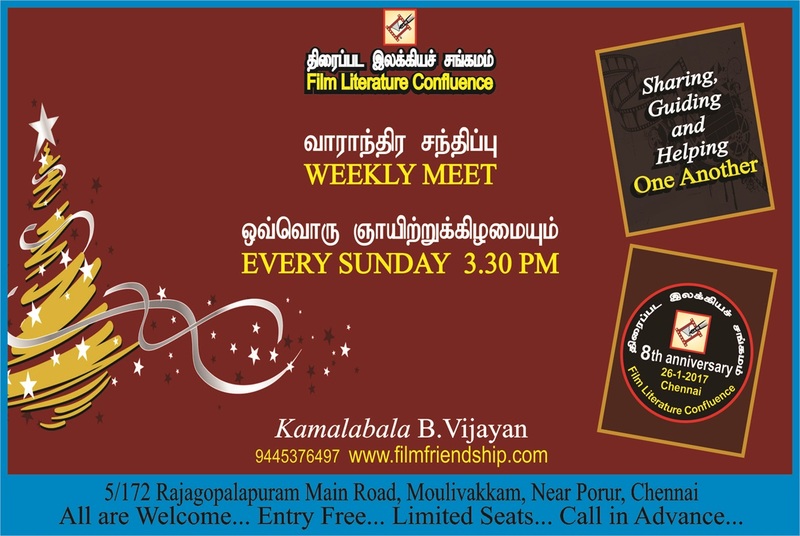 The weekly meets will be conducted of every Sunday at 3.30 PM. Everyone is working from Monday to Saturday for their own areas. So the weekly meet will be a platform for sharing their experience one another as to guide the friends and help them to create. 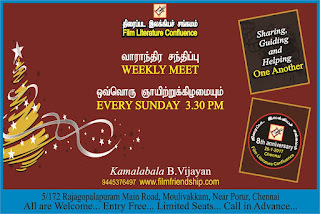 And the weekly meets will encourage everyone to follow the objectives of our confluence to reach their targets. But the report, photos or videos of the programs will be uploaded here or facebook or youtube later. Labels: CAC., FLC, தி.இ.ச., தி.த.க. எட்டாவது ஆண்டுவிழாவின் ஒரு பகுதியாக 'அசோகவனம்' என்ற மேடை நாடகத்தை அரங்கேற்றம் செய்கிறது..
இலக்கியம், நாடகம், திரைப்படம் ஆகியவற்றில் ஆர்வம் கொண்ட படைப்பாளிகளையும், கலைஞர்களையும், உதவியாளர்களையும் இந்த முயற்சியில் எங்களுடன் ஒன்றிணைந்து பணியாற்ற அழைக்கிறோம்..
தமிழ் நாடக உலகில் ஒரு திருப்பத்தை உருவாக்குவோம்..
Our Film Literature Confluence, travelling with the objectives like ' the film and literature fields should be united together and a friendship circle among film fraternity should be formed', is planning to travel on that bridge in its eighth anniversary. A play 'ASHOKAVANAM'' will be staged as a part of the anniversary..
Let us make turning point in the field of Thamizh plays..